Easy Everyday Coloured Eyeliner - 3 Looks - YOUR FANCY SELF! Coloured eyeliners have been a rage recently, form everyday looks to fancy makeup looks. 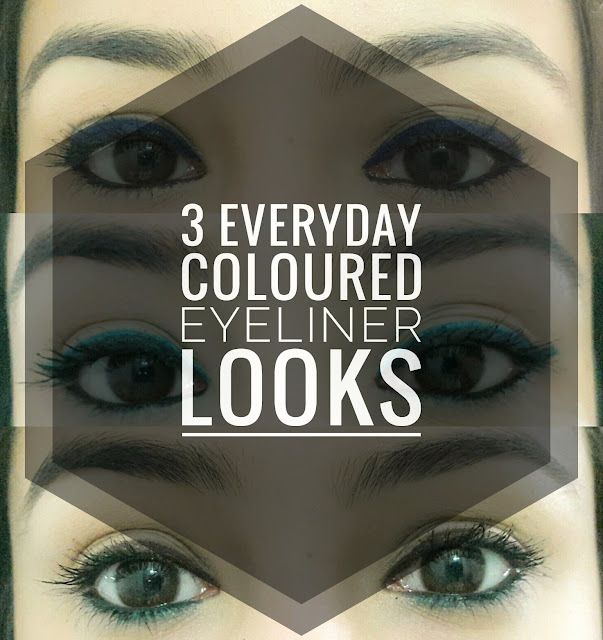 Today I am sharing Three Ways you can use coloured eyeliner everyday! 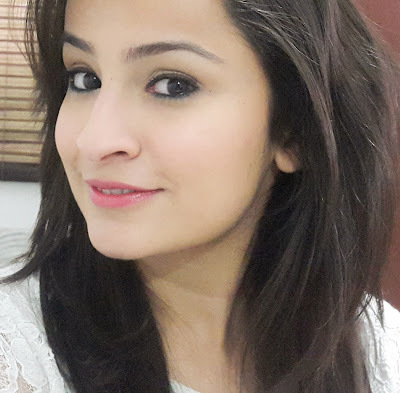 These are the most simple ways to add hint of colour to your normal everyday kajal look. Using coloured eyeliner on top lid. You can make it thick or thin as per your choice. I like to wear eyeliner on my lower lash line too. You can skip this of you want. It looks chic and gorgeous. 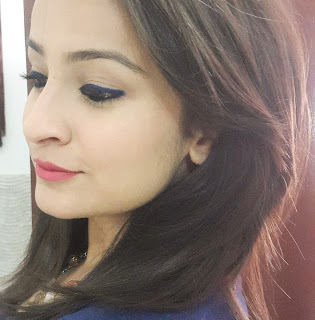 Using coloured eyeliner on bottom lash line. You can use dark or bold colours as per your choice. I like to wear black or brown eyeliner on top lid too, you can skip this too. My favourite look. This one does need some effort. But looks amazing when applied. You can wear this one even for a party if you think it is a little too much for everyday. 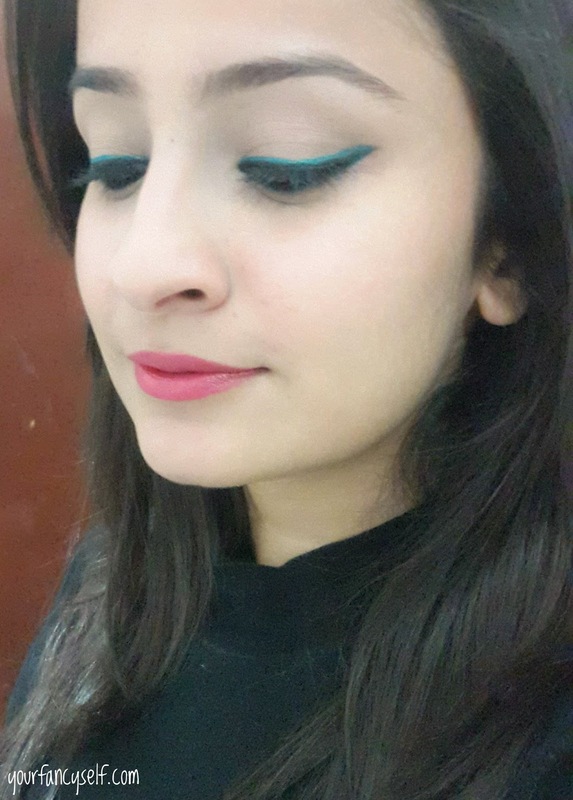 I used Teal eyeliner (incolor) + Maybelline Gel eyeliner. This is how you can get this eyeliner look. You can wear black winged eyeliner first and then trace over with the thin line of coloured eyeliner of your choice. This method needs precision and works best when used with liquid eyeliner. But if you are using gel/pencil eyeliner like me. You can use this easy cheat. 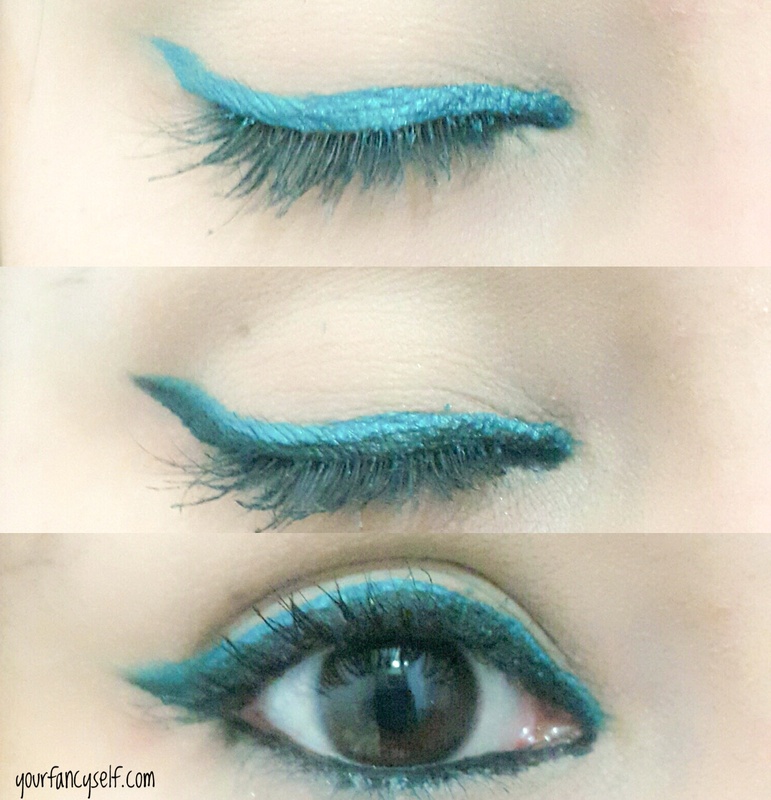 You can first draw thick coloured winged eyeliner. And then use black liquid or gel eyeliner near your lashes and trace it. I hope you guys find this helpful. 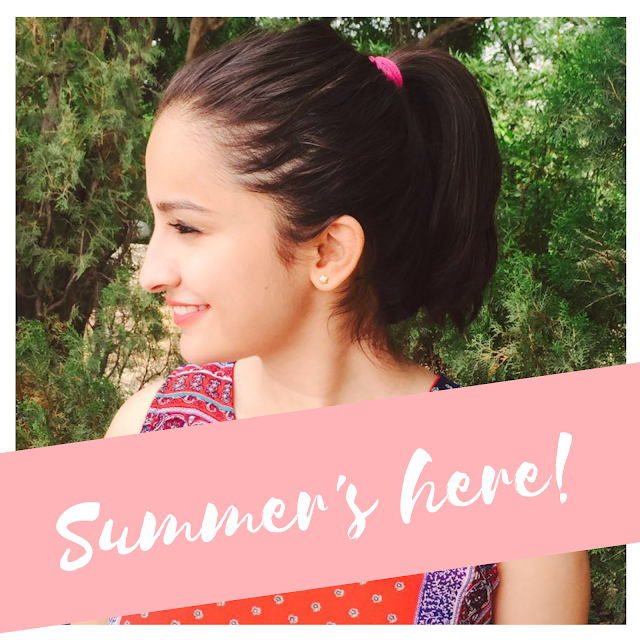 Do share and comment if you like any look.